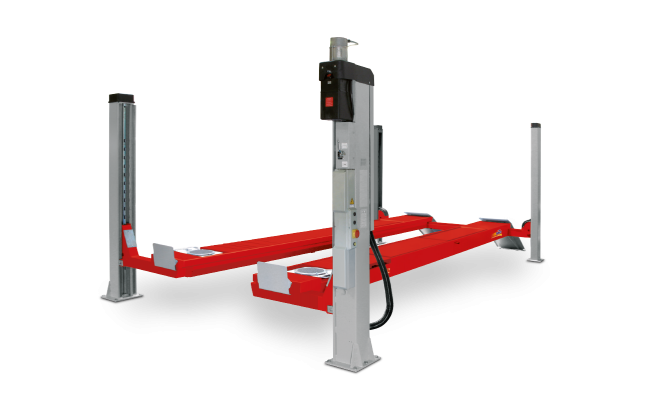 The 5700 mm long platforms and the large inner distance between posts allow optimum lifting of light commercial vehicles and long-wheelbase vans. 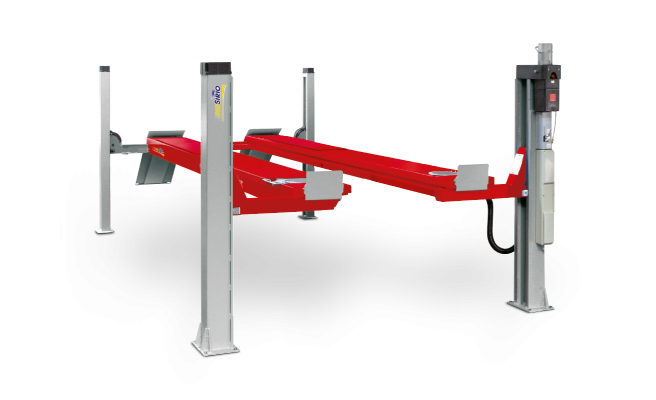 Extra-long platforms for total wheel alignment with front turning plates locations and rear slip plates. 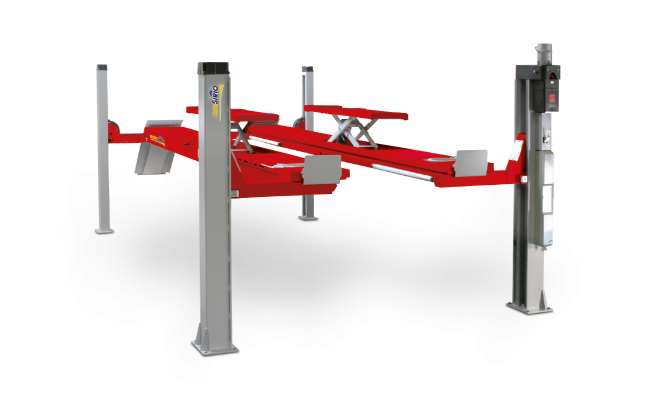 Lift with flat runways, with front recess for turntables and rear sliding plates mounted over the platform. Platforms for total wheel alignment, with front turning plates recesses and rear slip plates.